On July 28th, a three member special bench of the Supreme Court announced their judgment. This judgment was followed by a final order of the five-member larger bench, in the infamous Panama Papers case. 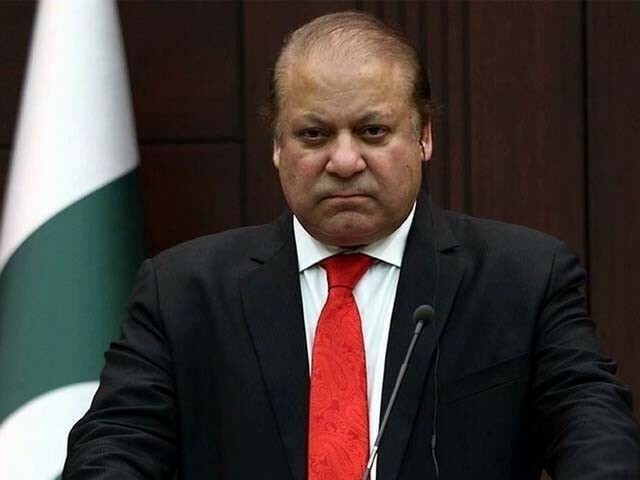 Nawaz Sharif, the recently ousted prime minister of Pakistan, was declared dishonest and was disqualified from being a member of the National Assembly under Article 62(1)f of the Constitution. The judgment was always politically controversial even before it was authored and announced. Unfortunately, it has also become a legal controversy at the centre of which lies the all mighty and all powerful Article 62(1)(f). The late General Ziaul Haq, in his attempted ‘Islamisation’ of the Constitution and Pakistan, added clause (f) along with four other Islam-ifying clauses to Article 62. Through these clauses, he made it an essential pre-requisite for any person aspiring for elections as a Member of the National Assembly to pass the test of being “sagacious”, “righteous”, “non-profligate”, “sadiq” and “ameen”. General Zia’s Islamisation of other laws has haunted the country ever since. Thirty-two years later, his Islamisation of Article 62 has come to haunt his own mentee. I, however, find the debate against Article 62(1)(f) quite empty and hollow. It is true that analysts, judges and politicians of the highest calibre have opined on the impracticability of such stringent conditions on character. Furthermore, it is true that the clause made its way into the Constitution in an undemocratic regime and thus did not represent the true will of the people. But the question remains – is Article 62(1)(f) a living and breathing part of our Constitution? Has it been removed by any of the subsequent “democratic” regimes? The answers are yes, and no respectively. As long as any provision is a part of my country’s supreme law, I would like it to be enforced. It is the Supreme Court’s (SC) duty to give effect to the Constitution. It is the Parliament’s job to give the SC a Constitution to go by. The argument that a statute or any provision of a statute is not practicable or does not represent the Parliament’s will yet remains a part of the legislated law, is absurd and without merit. Thus, in my humble opinion, the SC giving effect to Article 62(1)(f), regardless of the floodgate it opens, is perfectly legal and in line with the SC’s duty to uphold and abide by the Constitution of Pakistan. The next objection raised in the politico-legal controversy was that the SC cannot and ought not to assume the role of a trial court under Article 184(3). The three-member special bench has stood its ground with regard to its original opinion that the SC cannot itself declare the prime minister corrupt and convict/disqualify him or any parliamentarian, on said grounds acting under Article 184(3) of the Constitution. They have thus ordered that the allegations arising out of the Panama Papers and the consequent petitions be investigated, and the accused be tried, under Section 9(a)(v) and 14(c) of the National Accountability Ordinance (NAO). They have maintained that as per 184(3), without a proper trial entailing examination, cross examination, exhibition and scrutiny of documents, no one can be convicted or declared to be dishonest. This was their original view taken in the majority judgment pronounced on April 20th and this is their view now. It was the dissenting judges who held that the matter does not involve intricate questions of fact as those framed by the three honourable judges; instead the question was whether the prime minister has been dishonest in his speeches and statements. The dissenting judges believed that there was enough material before them to conclude that respondent number one, the prime minister, has been dishonest and thus stands disqualified under Article 62(1)(f) of the Constitution and Section 99(1)(f) of the Representation of People’s Act. The other three judges, however, in the April 20th judgment, held that the material available was neither sufficient nor conclusive and thus recommended formation of a joint investigation team (JIT) to first probe into intricate questions of fact. So why was Nawaz declared dishonest and disqualified by the three-member bench now, and that too unanimously? What new material surfaced, which was not available then? Nawaz has not been disqualified on the basis of any revelation in the Panama Papers, nor for any allegation contained in the petitions, as those were held to be subject to further scrutiny and trial in the unanimous judgment. Nawaz has instead been disqualified on his own admission. During the course of its investigations into the Panama Papers, the JIT discovered that Nawaz was chairman of Capital Free Zone Establishment (FZE) Jebel Ali, a Dubai based company, and that a salary of 10,000 dirhams was receivable by him against that position. This, like all other matters now referred to the National Accountability Bureau (NAB), was an allegation contained in the JIT’s report. 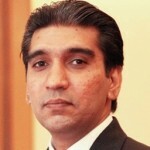 However, when confronted by the special bench post the JIT report hearing, Nawaz’s counsel – acting on his behalf and instructions – admitted that the former prime minister was in fact chairman of Capital FZE during that period and that he was entitled to the said salary, however he did not withdraw it. Thus, this allegation now became an admitted and established fact slipping out of the sack that contained all unproven and denied allegations which have been sent for a proper probe and trial. As per our laws of evidence, the Qanun-e-Shahadat order, any allegation that is admitted need not be proven. It is interesting – unfortunate for the now disqualified prime minister – that this small admission has cost him so gravely. Had the admission not been made, the chairmanship of Capital FZE and any salary in that regard would also have been sent to NAB for a proper inquiry and trial. Now coming to the strictly legal controversy, has the SC gone too far in applying the criteria set by the words “sadiq” and “ameen”? Nawaz has been disqualified for not declaring an asset that was not acquired or received when the declaration was due. As per the SC’s own judgment, the word “asset” has not been defined in any statute including the Representation of People’s Act. So there was no law that qualified any ‘receivable’ as an asset. The ambiguity has only been elucidated upon now in the honourable court’s judgment. So was any receivable an asset in 2013 in the absence of any law or precedent declaring it so? Can the precedent set today be given retrospective effect? The contention makes sense in as much as the absence of a clear definition of the word “asset” is concerned. Was Nawaz dishonest by virtue of not declaring something he could not know he was supposed to declare? Shouldn’t this qualify as an honest mistake instead of a dishonest omission? These are questions that the SC has, by implication, answered in the negative and answered definitively. A provision that was already considered too stringent to be practicable as it required the highest standards of honesty, has now gone up a notch or two. As per this precedent, an unintentional mistake may qualify as a dishonest act and will be sufficient to disqualify anyone from being elected as a member to the legislative assembly. The sword hung over the politician’s head by a dictator, kept in place by politicians themselves, and is now sharper and heavier. The rope that holds it is weaker and thinner. Is this irregular? Apparently, yes. Is it illegal? Absolutely not, since this definition and scope has been given to a provision of the supreme law of the land by the SC of the country. Thus, it is now a law and has to be abided by and enforced. If it turns out to be an erroneous interpretation, it will be changed and altered by subsequent precedents or legislation. This is the evolution of the systems that we so dearly dreamed of, and now seem petrified by. Shouldn’t this qualify as an honest mistake instead of a dishonest omission? Trying to justify the unjustifiable …..and that too by over simplifying the wrongdoing. The whole assembly would go home with such a stringent measure of scrutiny as article 62. We do realize that any time an MNA is found to have uttered an untrue statement, on any matter whatsoever, their opponents would file a petition to have them disqualified. It’s a Pandora’s box. ….” did not know what he was suppose to declare…” Wow! cabal. There are secretaries aides of every caliber and hue at his beck and call. And then there is Maryam and 120 person strong media pool. Legally, Nawaz Sharif was not obligated to declare his salary that he did not draw. The amount may have accrued but as he has not received it, he has no obligation to report it. There are two ways of reporting. One is accrual basis where you report it when it has been earned and another is cash basis where you report it only when you have received it. Individuals generally report their income on cash basis and companies report it on accrual basis. Let me explain. Suppose, you are working for a company based in Pakistan. If the company you are working for does not pay you your salary, do you report it and pay taxes on it and is the company required to withhold the taxes and remit it to the government. No. Neither the company is required to withhold taxes and remit it to the government nor are you required to report it as your income and pay taxes on it. Your salary may have accrued but if in the meantime the company goes bankrupt, you will not receive it and will have no tax liability or reporting requirement. Suppose that your salary was due in the year 2016 but you actually received in it in the year 2017. In this case, you don’t report it in 2016 but report it in 2017 only. In that caseI am surprised how Ishaq Dar, being a Chartered Accountant missed it and even Nawaz Sharif’s lawyers did not advise him. Retired AVM, Shahid Latif who appears in Pakistan’s TV channels as a Defense Expert purchased an apartment but did not report it. He claimed that he is still paying mortgages on it and shall report it only after he has completed paying all his mortgage payments on the apartment. Nawaz Sharif has once been CM of Punjab and thrice been elected as PM of Pakistan. That election too is fraught with suspicion of vote rigging. Having an overflowing cabinet of ministers, state ministers, special advisers, secretaries, attorneys and what not, it is not something that I would buy. He knew the game was over and just kept on lying because he thinks he can get away with his ill-gotten wealth. He should be made to return the looted wealth and put behind bars. If ZA Bhutto can be assassinated for a crime he did not commit and M Morsi of Egypt, can be jailed for a crime because he is a Muslim leader, Nawaz Sharif can be put behind bars for financial crimes committed and lying to the Apex Court. I think his lawyers took the correct stand. Capital FZE, the company of which Nawaz Sharif was an employee on records, was closed and Nawaz sharif did not receive his accrued salary too. Read my prior comments in this section. When Nawaz Sharif has not received any salary ever from Capital FZE, he has no reporting requirement on this.